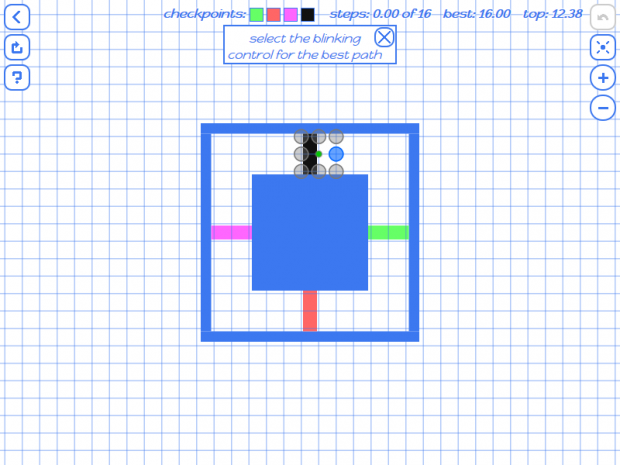 Turn-based racing transformed into a challenging puzzle game. Play 54 levels in 2 game modes. Master each level to collect all 324 stars! The game is turn-based. You move from grid point to grid point, and can change speed and direction each turn. Master each puzzle by getting to the finish in the least amount of turns. Watch out for gravel traps and slippery areas, and try not to crash against walls! The game runs on desktops, tables and smartphones!